If y’all are like me, you are not at all ready for Christmas. It’s still hot outside and the leaves have not started really turning colors yet. If anything thing, it’s second summer! So, this blog hop is all about the Haoliday Catalog… but NOT Christmas. Did you know that there are things in the new Holiday Catalog that do not revolve around Christmas? It’s true! You will see a lot of them hopping through these blogs today! So, here is what I came up with.. not a red and green in sight!!! Okay – maybe a little green… but definitely fall – not Christmas! Sorry I don’t have a lot of photos of it. I actually made it for a recent swap and didn’t have any left. I had to ask the organizer to send me a photo of it. But, I absolutely loved it and will making a bunch of them this fall season. I have included a little bit of a card sketch. This is how I layout my cards on the computer. It’s about the second or third step of card design for me. 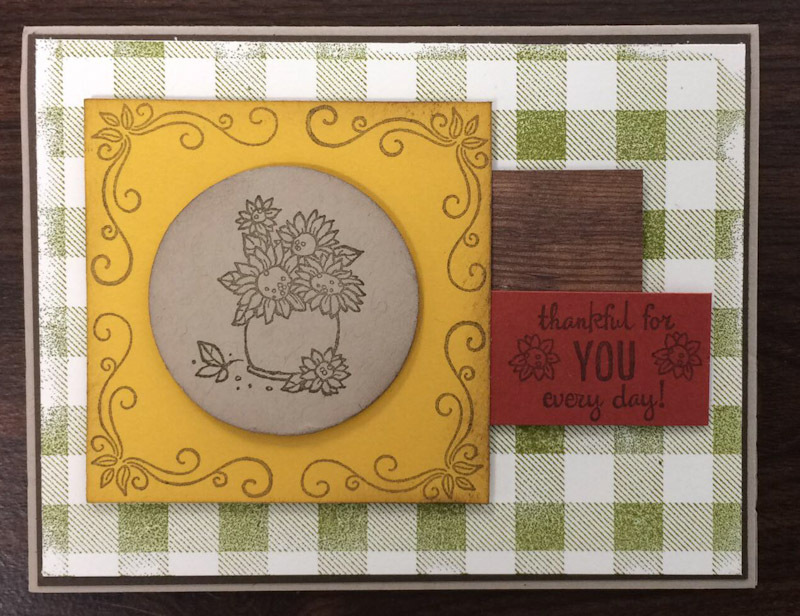 The first set is usually pick the stamp set and a color scheme. Then I peruse Pinterest or Split Coast to see designs or sketches that I like. Then I do my layout. I use Microsoft Publisher and Photoshop to lay it out digitally. I usually guess at my measurements… but having a catalog handy makes it easy since most stamp images are true-size in it. 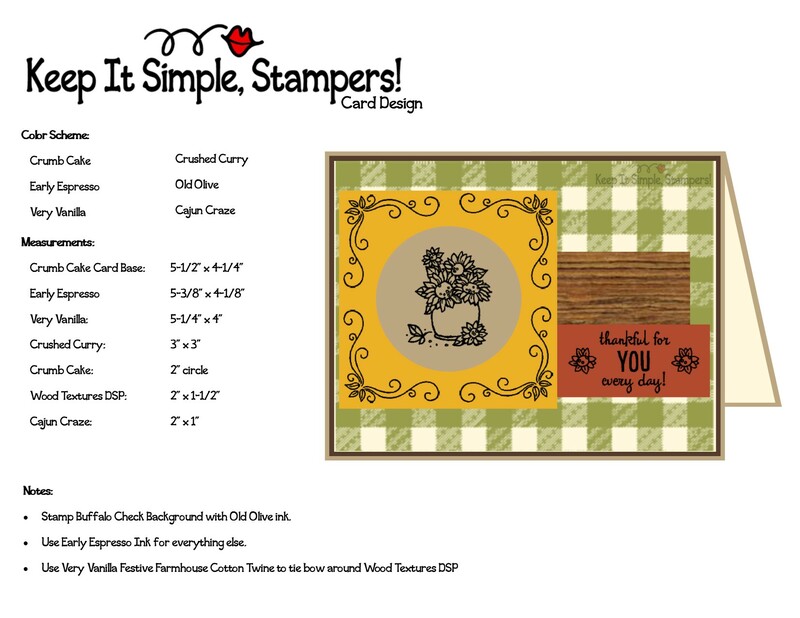 Using the RGB/HEX color codes that Stampin’ Up! makes available helps me see the design in real color. Well, that’s it for a look into my mind. You had better run before you get to scared in there! Well, that’s it for today. Have fun hopping about my little froggies!! !